CUCUTA, Venezuela/Colombia border – As Venezuela continues to crumble under the socialist dictatorship of President Nicolas Maduro, some are expressing words of warning – and resentment – against a six-year-old gun control bill that stripped citizens of their weapons. “Guns would have served as a vital pillar to remaining a free people, or at least able to put up a fight,” Javier Vanegas, 28, a Venezuelan teacher of English now exiled in Ecuador, told Fox News. “The government security forces, at the beginning of this debacle, knew they had no real opposition to their force. Once things were this bad, it was a clear declaration of war against an unarmed population…. Gun bans are nothing new. And, in many cases, they have led to increased crime and greater tyranny. Rarely do they ever produce the promised effect. It’s not just Nazi Germany, Cuba, the Soviet Union, and Venezuela where things have gotten bad. In London, England, the banning of guns was so ineffective in reducing homicides that the Mayor had to call for a ban on kitchen knives. What’s next? Banning pillows because people can be smothered in their sleep? London Mayor Sadiq Khan announced a crackdown on knives Sunday in response to the rising levels of violence in London, which recently surpassed New York City’s homicide rate for the first time. There have been more than 50 homicides in London so far in 2018, and much of the violence is tied to gangs. Guns are strictly regulated in the United Kingdom and the rising homicide rate in London is directly attributable to a rise in knife-related crimes, with stabbings claiming at least 31 lives to date in 2018. By contrast, New York — which has a population roughly the same size as London — has seen a steady decline in violent crime. It is obvious that banning guns is not the answer. Fortunately, in the United States we have the 2nd Amendment that provides the right to bear arms. This is an important right and provides individuals the ability to defend themselves, their family, home, and property. Of course, there are no rights without responsibilities. And if you wish to be arms, you must be responsible with them. Under the Obama Administration, there was an unconstitutional effort to stop guns using domestic economic warfare. It was called Operation Choke Point and it sought to eliminate gun sales (and other disliked legal businesses) using banking regulations and intimidation. The amazing thing is how effective it was and how long it lasted with the support of the FDIC. Operation Choke Point was real, and it exceeded legal limits. Overwhelming evidence, in the form of more than 900 pages of newly unsealed emails and depositions, proves government officials illegally targeted lawful businesses in an ideological crusade based on personal disdain. If there were other reasons at play, these regulators would not have needed to resort to backroom pressure tactics, including threatening the jobs of Federal Deposit Insurance Corp. officials and bank executives with criminal prosecution unless they cut off banking relationships with small-dollar lenders and other lawful businesses…..
Those involved in Operation Choke Point demonstrated a blatant disregard for the rule of law and due process, as well as the U.S. regulatory system, and the effect of their actions will resonate for years to come. All Americans should demand answers and corrective action, including the immediate removal of all those involved from their current positions — including both Gruenberg and Lowe, who still serve in FDIC leadership…. A dangerous precedent has been set here. If government regulators under one administration can target businesses they personally disfavor, any subsequent administration can do the same. Personal prejudices cannot be the standard for regulation, and the government should never disregard due process or regulatory procedures to choke off lawful businesses…..
For any student of history, it should be obvious that banning guns is not the answer. Fortunately, in the United States we have the 2nd Amendment that provides the right to bear arms. This is an important right and provides individuals the ability to defend themselves, their family, home, and property. There should not be end runs around the Constitution to try to ban guns using government-sanctioned economic warfare. A right is a right. Of course, there are no rights without responsibilities. And if you wish to bear arms, you must be responsible with them. The two most recent episodes (#29 and #30) of Economic War Room deal with both the rights and responsibilities of gun ownership. They feature recently retired Force Recon Marine, Lt. Colonel Chris Graham. Chris is a weapons specialist who trains some of the best and brightest in the military and intelligence agencies. Episode 29 is Top Security Tactics for Your Family and Episode 30 is The Economic War on Guns. Here is a YouTube clip where you can see Lt. Colonel Graham make the Case for Gun Ownership. Lt. Colonel Graham also went into detail on the need for proper training and preparation before acquiring a firearm. Here is a clip where he explains taking a step back and deciding the best course of action for protecting family and property. 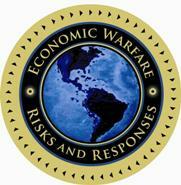 You can also download a FREE Economic Battle Plan™ that covers both Episodes at EconomicWarRoom.com. You can also learn more about Lt. Colonel Chris Graham in the Battle Plan and how to personally access his specialized training. We know the importance of our 2nd Amendment rights both from history and also current world events. We need to be aware of domestic economic warfare efforts to strip us of those rights. That is why it is so important to fully understand those rights and the responsibilities of safety, training, and wisdom. We owe that to our families and society. Be sure to check out both Episodes and download the FREE Economic Battle Plan™.